Okay, here's my confession. "I haven't worked with royal icing since culinary school. And I am not very good at working with it either!" Glad I got that off my chest! It's not that royal icing is particularly hard to work with, I'm just better at plain old buttercream. Plus, I will take a sugar cookie topped with almond, vanilla or lemon scented buttercream over royal icing any day! So, you are probably wondering why I chose royal icing for these cookies in the first place. 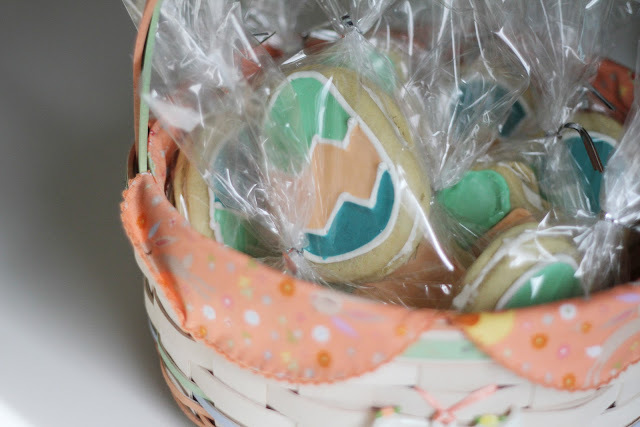 Well, it's because I think royal icing can be really cute when done right and I wanted to practice and the kids and I were planning on bagging the cookies up(a mess with buttercream) to give their little friends an Easter treat. Plus, I thought it would be genius to put a layer of lemon scented buttercream in between two cookies because let's be honest, although royal icing can look purty(the above cookies being an exception;) it will NEVER EVER taste as good as buttercream! Here are the links to the sugar cookie and royal icing recipes I used. 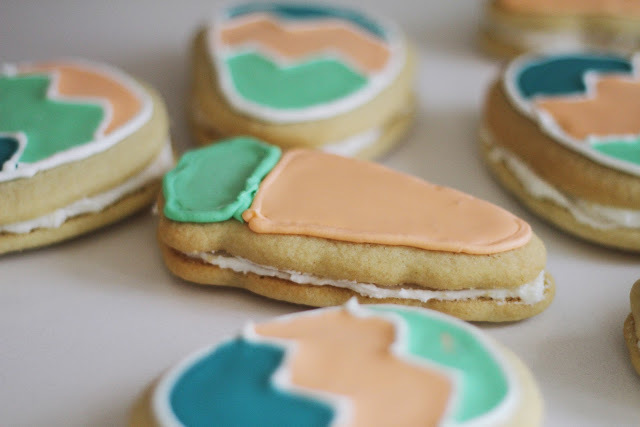 And might I add that the tutorial for royal icing is brilliant! Cream butter. Add powdered sugar 1 cup at a time, beating well after each addition. Add vanilla and lemon zest. Add milk(if needed) to get to smooth spreading consistency. I bet those were yummy! I think your skills with royal icing are quite awesome. I don't even attempt stuff like that! 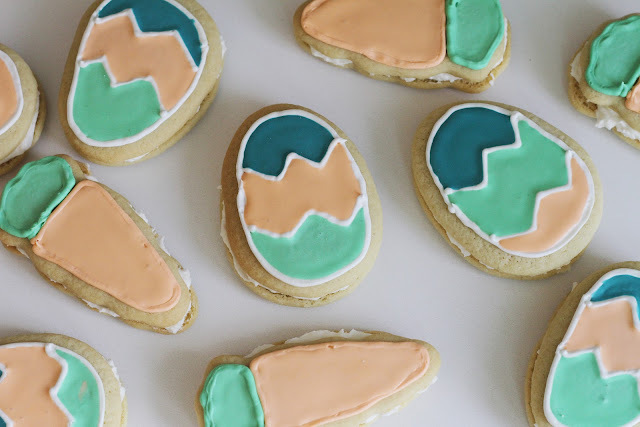 Cutest Easter cookies ever, and I bet they tasted delicious too!